Image via DDAEN Facebook Page. In recent years, there has been a surge in popularity for podcasts starring a live playthrough of pen-and-paper roleplaying games like Dungeons & Dragons (D&D). Ongoing series’ like Critical Role and The Adventure Zone have breathed life and energy into a hobby that, nearly since its inception, was seen as a fringe anomaly by the mainstream. Dungeons, Dice, & Everything Nice, which aired its first episode on February 4, 2017, is the latest foray into podcasted roleplay. Based in Chicago and starring an all-women cast, these students, comedians, improv artists, and performers come together to roll dice and engage in a form of communal storytelling almost wholly unique to the D&D experience. 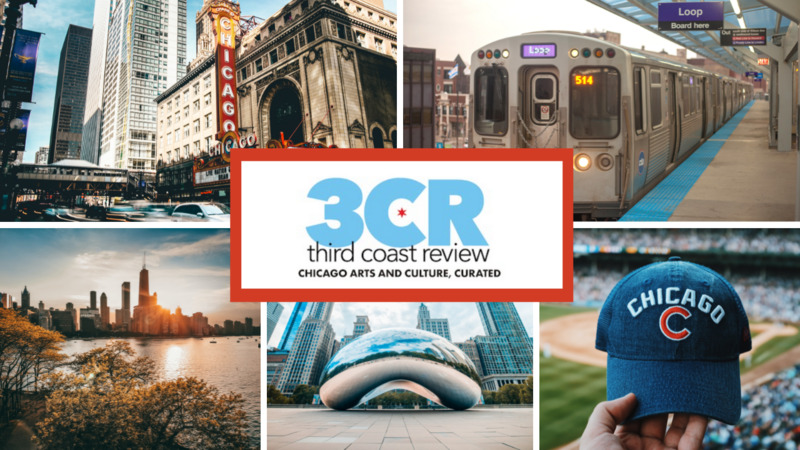 During C2E2, Third Coast Review had an opportunity to sit down and talk to showrunner and Dungeon Master (or DM) Katie Mae, mainstay players Carly Strait, and Syd Foltz, and show music composer Cameron Bopp. We talked about the show’s creation, their C2E2 panel, the show’s unique use of original music, and running a show while handling the unpredictability in an average D&D campaign. Thanks for taking the time to speak with us. So how did this podcast come together? Have you played D&D before? Syd Foltz: So I had break during class with Katie Mae and Liz [Burton] and I had always wanted to play, and I expressed this to them. I said, “God, but I’ve never had any friends who knew how to play…” and they just looked at each other and were like, “We’ll teach you.” So I kind of start with one shots, then got Carly involved. Carly Strait: I was in a class with Katie Mae and we had already been friends. Mae was going over a list of all these ideas that she had, all these projects she had always dreamed of doing and I looked at the Dungeons & Dragons one and thought, I have a similar feeling as her. Katie Mae: You know, my dad taught me how to DM when I was in sixth grade. And listening to other RPG podcasts. I’m listening to The Adventure Zone, I’m watching Critical Role, I’m listening to Sneak Attack, I’m listening to Godsfall. I’m going, “Cool, so there’s one or two token women in all of the these. And Harmonquest is Dan’s ex-wife. Just such minimal amounts of women, and it takes away the approachability of the hobby. I just wanted a thing that it wasn’t presentational in the fact that women are playing. It’s wasn’t like, “Aw look, we can do it too.” It was just us playing and having fun. I’m so tired of the trope where it’s all dudes playing and then one guy brought his girlfriend as a healer because they needed a healer. That’s super garbage and not an accurate reflection of reality. Strait: It is super garbage. I’ve been listening to the podcast and one of the things I like is the presentation. You’re making it its own entity. No gimmicks. Mae: We don’t need a modifier to be a part of the hobby. We’re equally a part as my dad’s gaming group who’s been playing with the same people for 20 years. We are equal members in the community, even though they are more traditionally based. Strait: I think most people… if they wanted to create a unique podcast, they fall into it very easily, they just aren’t themselves. The way that we found our style has been more natural than I would have thought. We’ve had really intense conversations about what’s important to keep in mind and who’s important to keep in mind when creating our world. Miss Mae, as the DM for this group, do you ever have to find yourself having to, “herd cats,” and make sure the players are focused? Mae: I’d say 90% of my job is cat herding exclusively. But you know, especially in a podcast when you’re DM’ing, there’s an increased layer. It’s taking that trope of many hats and multiplying it. Because when it comes down to it, you are like a story director, you’re making sure your audience will get that you’re a storyteller; that every character has a solid place in the world and is able to affect the place around them. You’re making sure there’s a good narrative happening while the players are keeping control. It’s a very delicate process. And my favorite thing is maintaining that delicate process and then just letting my four players come in and then just flip the table over. Mae: I love that. That’s that’s my favorite part-is just letting it get ruined immediately. Because then it’s together. Strait: We’ve have very emotional episodes too, where… the plot is definitely on hold because our character have to have a moral boosting emotional-connection to each other again. I remember my boyfriend, he and his dad were in the studio when we had this really big character conflict, and we were as [the] characters sorting out how we felt and I remember they were like, “We never did this in a game ever.” Never have emotions been that heavily considered in a Dungeons & Dragons game. Foltz: Because our hearts are in it. I know that I speak for everyone, even Katie Mae the DM. It’s so nice because… it’s my other life, it’s like my other world, and so when I’m in it, my heart’s in it. I get stressed and I get sweaty and I get… tensions are high, when we’re trying to come up with a plan for combat. For the players, tell us a little about your characters. Strait: I’m Griana Arande, I’m a Half-Orc Ranger, and it’s an anagram for Ariana Grande. She has cat ears and a bone through her high ponytails and owns… a meat shop called Griana’s Meats and More. Foltz: My character is Kai Abadite. She’s and Earth Genazi Barbarian. Super tall, super buff, my stats are off the charts. I’m pretty proud. Mae: She thinks that, I’m going to have to prove her wrong next. Foltz: She left to go train to be a fighter at 13, hasn’t seen her family since. King of like the Genazi way. She travelled for a bit, didn’t really like it and then she finds this circus show and she was a burlesque dancer in the show for 3 years. And then finding Griana’s Meats and More, things fell through with the circus, long story, but she met Griana and worked at the meat shop… kinda like the right hand man. This question goes to Cameron Bopp, the musical composer who scores the original soundtrack for the podcast. How did you get involved? Bopp: Well Katie Mae… she and I have know each other since middle school. We went to school back in good ol’ Longmont Colorado, and she’s the reason that I came to school in Chicago, actually. So we’ve been friends for a really long time, and when she started this podcast, she came to me and was like, “Hey, we need original music so we can take this to the next level,” and I had been making music on my own for a couple of years. And she was like, ”Can you make some music for us?” I jumped at the opportunity. It’s been a really cool experience to be creative in that way. How has C2E2 been for you so far, and how did your panel go? Mae: It’s been busy. There’s always too much to do and so I’ve spent like, 20 minutes on the con floor. Mae: So yearly, they host an indie podcasting panel where they just give advice and stuff. And because they run the Chicago Podcast Cooperative. We met them and we were like,” Hey we have this thing, what do you think?” And they were like, “We love it, let’s help you.” And it was because of them we were able to do our show right after their indie podcasting panel was here. So it as a whole huge full circle thing. So yeah, I love C2E2. Strait: Being able to do our panel was like, very much fulfilling. Foltz: It was the coolest thing. It was really cool. One last question for everyone here. When you’re creating, building your campaign, making music, playing as your characters, what inspires you? What brings out your creative energy? Mae: Every time I sit down to do something, every endeavor I do, it is for the love of the people I surround myself with and the love of storytelling. I love telling stories with people I think are phenomenal. It’s the love of… when people come together, what they make can be so much more than just words. It’s that admiration for it that I always have in mind. Foltz: For me with playing Kai… what can I do in this world that I can’t physically do in this world? Honestly, creating Kai has influenced my own life. She inspired me to join a gym and start working out and get buff. It’s so exciting because it feels like a piece of me is able to do the impossible. Strait: Just the sheer fact that we’re allowed to be silly. Professionally being silly is very fun. Being able to… access that part of you but have that be taken very seriously and needing to be solidified and explored is so freeing and the that we can do that. We’re in the position were we can do that and we can tell other people that it’s super cool to have fun with it that way. It’s actually very important for your soul and it’s very giving to yourself and freeing to act like that. I got choked up. Bopp: I think for me personally, I’m fascinated by the storytelling process and the different ways that it can be achieved and watching these girls come together and put their heart and soul into this world and create this entire story really inspires me to approach music for lots of different ways. Thank you all so very much for your time.